send 2013 RH list... it will use our teacher very much. thank u.
Hello Sir, your doing very good and wonderful job to our teachers Society and students thanks for all. Tamil Ravikumar, Teacher, Trichy District. Thank you. Your service for Teachers is very good. It is very useful for us. your service is very good. It is very useful for students as well as Teachers. Thank you very much. IT IS VERY USEFUL SIR. U R DOING EXCELLENT SERVICE TO TEACHERS SIR. இலவச அரசாங்க மடிக்கணினி திருநெல்வேலி எப்போது வரும். Hi Sir, Thank you very much sir, this is very useful to us. your doing very good and wonderful job to our teachers Society and students thanks for all. i want to know some information about how u selected the computer science teacher with B.ed., or degree. how u recurite the previous appointment. Very useful.We need study materials for other subjects too. sir...........please can you translate the teacher's answering scheme in english????????????? NICE ATTEMPT.When can we get the key for ENG II QN PAPERS? Thanks for the good initiative. Very useful info to all. 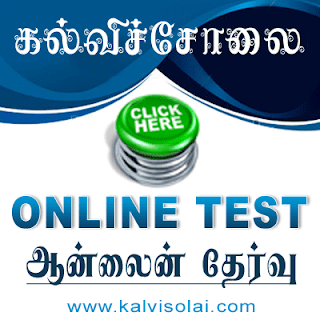 Today i found kalvisolai website. it's very useful site. Many more days/years i was missing this site. Today i got kalvisolai Thanks God once again. I am a second grade teacher serviced in a minority school from 9th Feb. 1999 to 5th June 2009 as enrolled in the school attendance register. Due to my sickness which been identified as a sever stage of spondyloarthropathies. Hence forth, I did not attend my job by informing my health condition through letter to the school management for requesting one year loss of pay leave. Further to failure on my health improvement, I could not rejoin or informed to the school management. Therefore, management has been terminated me from my job and informed me by letter on 31July 2011. Hence, I would request me to advise for to claim my settlement for my 10 years service. And to clarify, is it possible or eligible to have my pension. You may appeal to the competent ednl authorties against termination and file a writ petition in the High Court. You can get your job again and then you repay the P.F loan amount. 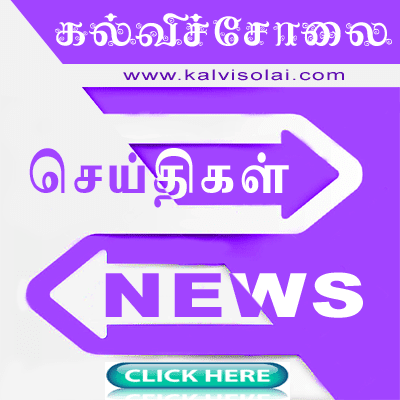 By s.pudur karthikeyan,Auditor, Tamilnadu idainilai Asiriar Sangam,Thiruvidaimarudur. today news paper came about TET news that those who have CV on or before 23 aug 2010 they all excempted if they got appointed dec 2011.
but same GO 152/153 dated 03-06-2010 school education (buddget 2) we all called for cv dec 2010. our process also starts before aug 2010(practically its not possible with in three month to call CV on dec 2010) its clearly mentioned minimum six month needed atleast to call CV. so our process too started early. 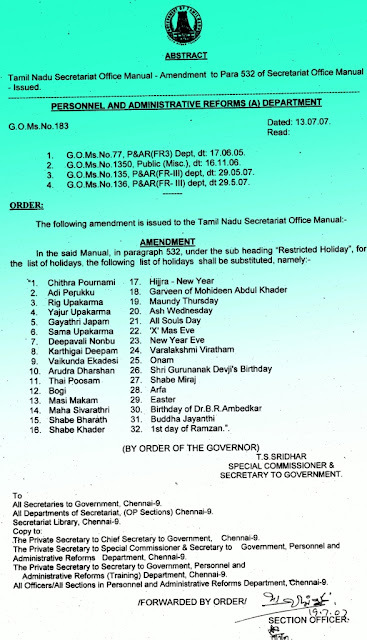 now we( those who appointed dec 2011) dont have excemption?????? VERY USEFUL SIR. WHY DONT U GIVE INFO ABOUT ADI DRAVIDA WELFARE SCHOOLS ALSO? hai i am Chandru from Tirunelveli, i got TET materials from here, it is very very useful for me thanks for who is uploading here. hai i am dhanabal teacher from trichy.i get very useful details from this site.thank u so much. hello sir this site is very useful to us. being a teacher i need one more information, can u please give us the list of approved colleges or universities in tamilnadu for studying parttime or distance education in M.Ed. hai sir..wow this is a xtraordinary and very very useful site for all people's,mainly for students.....thank u sir..
hi hello sir, wn ill publish p.g trb result. thanks a lot for kalvisolai for giving valuable and important mesages. THIS IS VERY USEFUL SITE. THANKS TO KALVISOLAI FOR GIVING VALUABLE INFORMATIONS TO 10TH AND +2 STUDENTS. I WOULD BE VERY HAPPY IF YOU PUBLISH THE PORTIONS FOR QUARTERLY EXAMINATION FOR 10TH STANDARD TO BE HELD ON 12/09/2012. this site very useful to us..
HI FRIENDS MY TET SCORE IS 81,(THAT IS 54%) MY WEIGHTAGE IS 27 SO TOTALLY IM GETTING 81.I WANT TO KNOW WHETHER IM PASS OR FAIL?PLS REPLY ME SOON. SIR I HAVE CHECKED THE KEY ANSWERS FOR OCT 14TH TET EXAM IM GETTING 81 MARKS FOR 150.MY WEIGHTAGE IS ONLY 27 FOR 40.SO TOTALLY IM GETTING ONLY 81.I WANT TO KNOW IM PASS OR FAIL? REPLY ME SOON. What a great technology ! It's a very useful media to all. Dear teachers,please watch and touch with Kalvisolai.Thanks to kalvisolai people. MANIKANNAN, BT Eeg, Salem. sir please close the 2012 RH list from the home page.Publish the 2013 list. kindly tell about number of vacancies in pg trb sir. is there any govt. G.O exempting computer teachers from appearing TET Exam? can you please upload R.H list for the year 2013 ???? 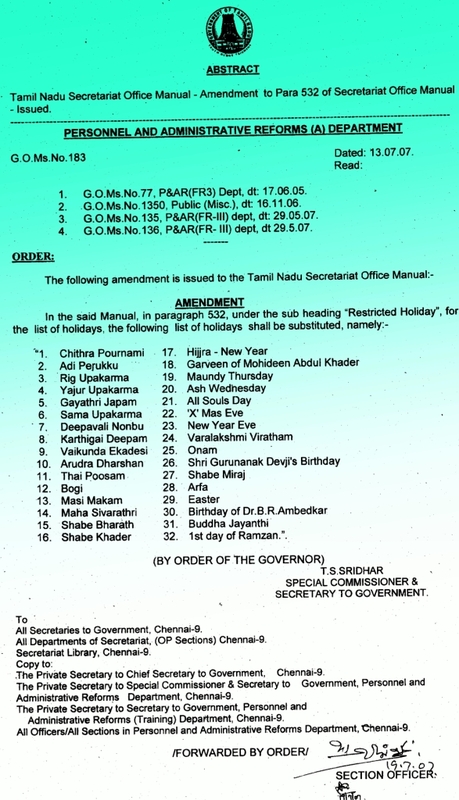 sir, any body could pro vide me the Pallikalvithurai G O 39 (DI) dated 21.03.2003.